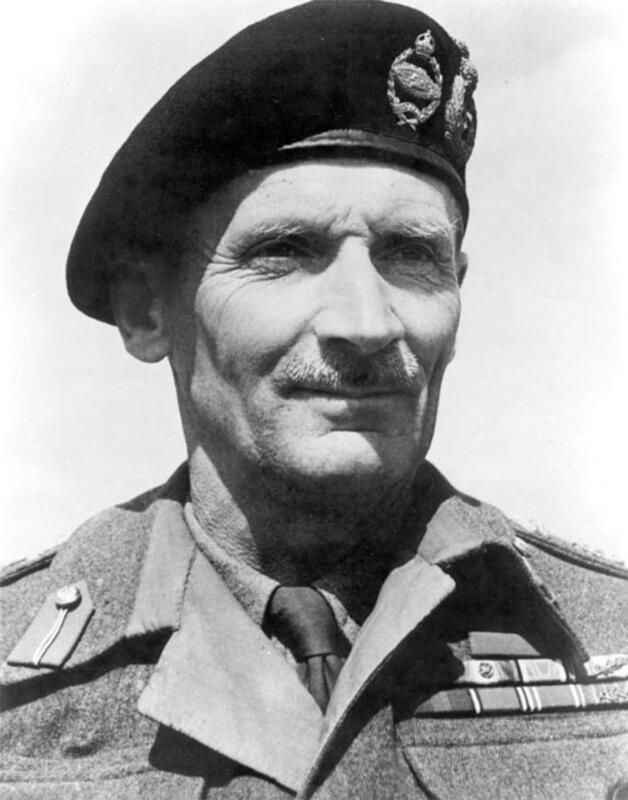 "During the last war, I had the opportunity of seeing most of the British, Dominion and Indian Divisions, many American Divisions, and several French and Belgian Divisions, and I can assure you that, among all these, the 51st unquestionably takes its place alongside the very few which, through their valour and fighting record, stands in a category of their own." Field Marshal The Viscount Alanbrooke. 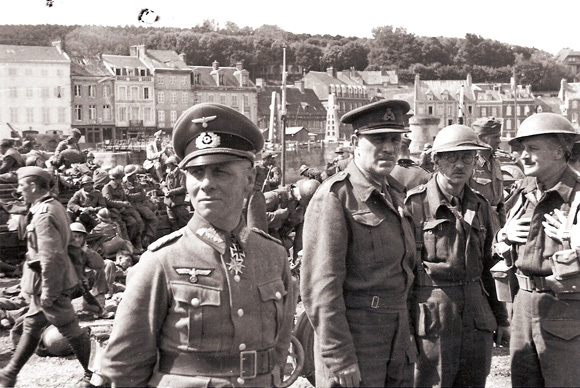 "It is at once a humiliation and an honour to have had such a Division under one's command. I shall always remember the Highland Division with admiration and high regard". The 51st Highland Division was officially formed in 1908 in a reshuffle of the Territorial Army, as a collation of all the kilted Highland regiments. Over the years that followed, until its disbandment in 1967, the 51st Highland Division served with great distinction. Their exploits in the Second Word War may have earned them their legendary status, but the Highland Division had been renowned since the First World War for their bravery and ability in combat. They served in France in the British Expeditionary Force (B.E.F.) in 1915 and achieved a great deal on the Somme, at Beaumont Hamel, Arras, the 3rd Battle of Ypres, Cambrai and the Aubers Ridge before the final costly actions of the First World War. 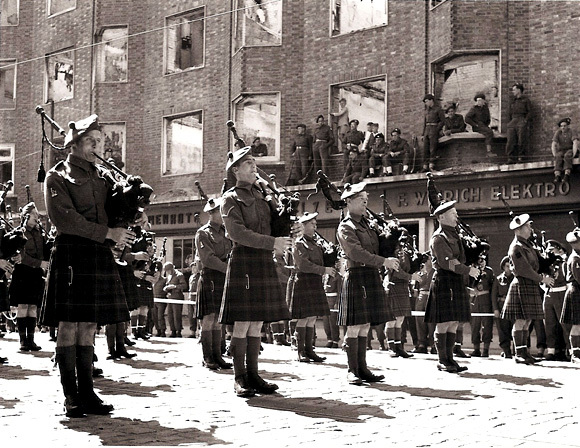 After the peacetime period between the wars, the 51st Highland Division was mobilised again in 1939 for deployment to France in January 1940 as part of the B.E.F. After the initial operations, as the B.E.F. retired on Dunkirk and the Division formed a defensive perimeter around St. Valéry. Here, in what would be its darkest chapter, the Division was isolated, abandoned and forced to surrender. Fortunately, one of its brigades, 154 Brigade - which had been detached, was able to escape through le Havre. Medenine, Mareth and Wadi Akarit to final victory in North Africa. After a brief respite the Division took part in Operation HUSKEY, the Allied invasion of Sicily, where is saw much hard action at Vizzini and Francofonte, Gerbini and Sferro before retuning home to prepare for D Day. The Division landed at Normandy on the 7th June 1944 as part of 1 Corps and fought in the breakout from the beachhead and in the return to St Valéry, conducted operations in the Low Countries, spent Christmas in the Ardennes, and went on to negotiate the Reichswald and the Rhine Crossing en route to final Victory in Europe.